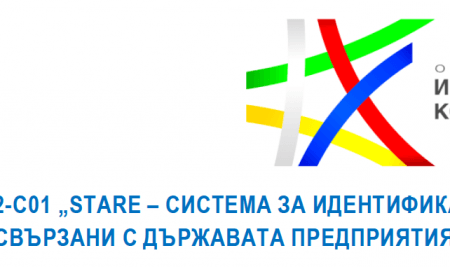 On 25 May 2018, A Data Pro Ltd. signed a grant agreement under the procedure BG16RFOP002-1.005 “Development of Product and Production Innovations”, as part of the Operational Program “Innovations and Competitiveness” (OPIC) 2014-2020 with the Ministry of Economy of Bulgariaas managing authority. With the financial support of OPIC 2014-2020, through the European Union and national funding, the company will design and develop a new ICT-based product that combines web-based resources, data mining methods and automated processing technologies, designed specifically to provide up-to-date, comprehensive and structured data on enterprises which, in one form or another, directly or indirectly (incl. via individuals), have a confirmed relationship with state or municipal authorities, services or regulators. A Data Pro and its partner, Varna University of Management, will use their existing expertise, experience and market access to conduct several applied research activities to develop a series of components and an operationally tested system. This R&D project aims to develop a globally innovative product for the business intelligence market. The latter is growing at an exceptionally fast pace, partly due to the governance, risk and compliance (GRC) segment, and especially after KYC/AML regulations on measures against money laundering and terrorist financing were introduced by most developed countries. This has generated substantial and growing demand for global datasets of terrorists and criminals, data on political figures, sanctioned individuals and organisations, state-owned enterprises (SOEs), regulated entities, etc. The total budget of the project is BGN 1,104,440, which includes financial grant support of BGN 739,418. The project will be implemented within 21 months.